She's back! Zinnia Riddle is here with another adventure for the whole City Hall crew! Perfect for the witch cozy reader who's interested in... time travel?! What's Aunt Zinnia brewing up? Only the most wild and shocking adventure yet! You won't believe what's in store for the City Hall gang until you read it with your own eyes. 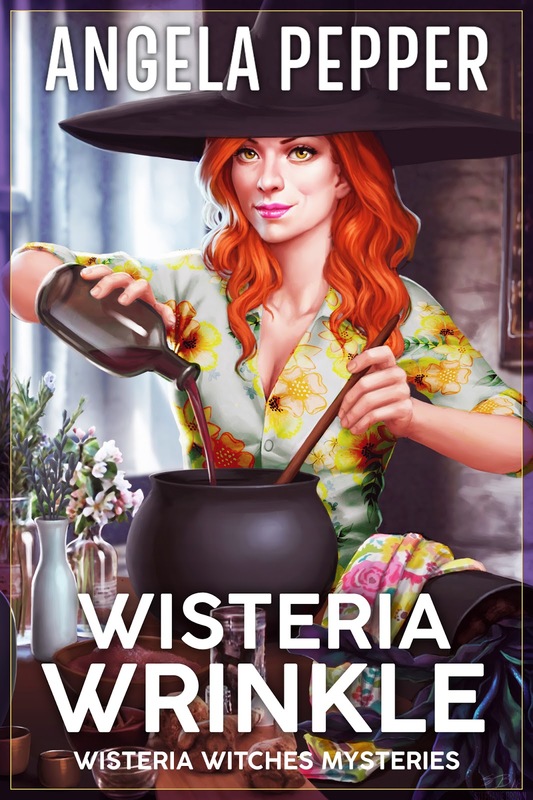 This is the book where you'll discover surprising answers to the many mysteries of Wisteria, including the source of magic, the cause of those magic shockwaves (including the one that turned Frank into a flamingo), and the strange secret of the gorgon triplet's origins. You do not want to miss this one! This is the 7th book set in the Wisteria Witches world. The timeline is parallel to books 3 and 4 (Zara's story), but from Aunt Zinnia's perspective. Look for more great cameos from your favorite characters, as well as new supernatural creatures and powers. Hang on tight for a wild ride!